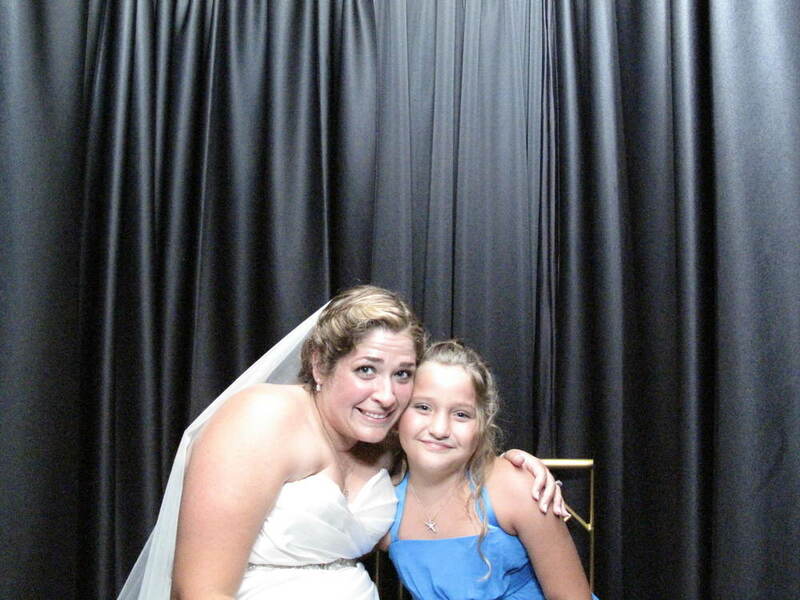 Snapshot photo booths visit Clarks Landing, NJ! 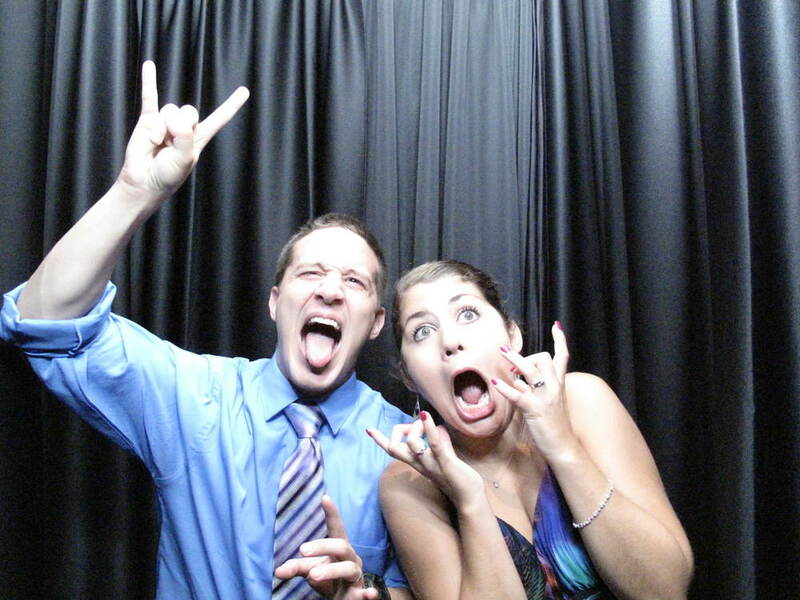 Krystina & Michael just got married using SCE entertainment and snapshot photobooths a few weeks ago back on August 11th. Their reception took place at Clarks Landing. Clarks Landing is known for it’s beautiful waterfront venue, overlooking Treasure Island and the Manasquan River. It is also newly renovated, and has high demand because of it’s venue’s services and staff expertise. Krystina and Michael had a beach themed wedding, where as their photo strip footer consisted of a starfish image and the couples’ initials. Although they did not use a prop box, you can tell by looking at the photos above, that they had an amazing time! 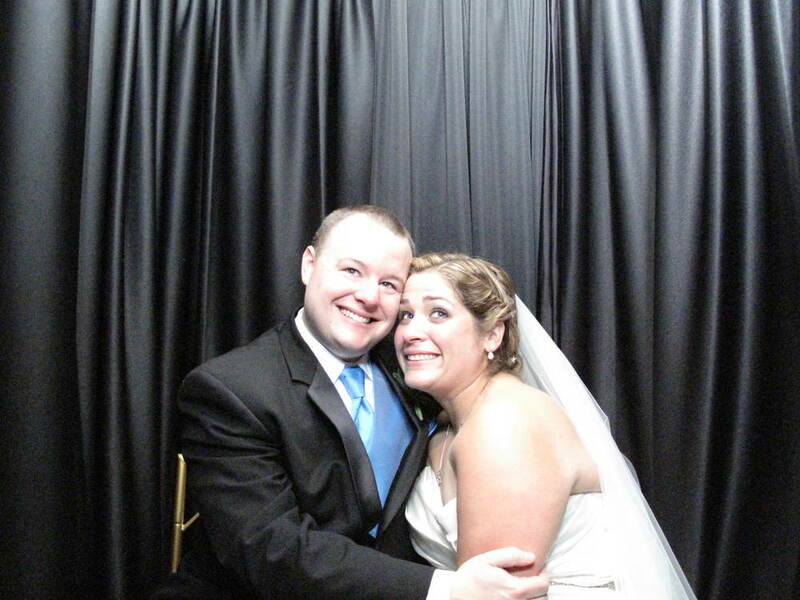 Their celebrity photo booth package included a customized footer, choice of draping color (which consist of black, white, and chocolate brown), unlimited pictures, pictures printing in black and white and color, a scrapbook, digital copy of prints, and a photo booth attendant. Jeff Scott Gould was the couple’s event host for the evening, who helped the Krystina and Michael plan their special day. Their entertainment package included Ceremony music production, intelligent light, and LED uplighting, which lights Clarks Landing’s venue perfectly! Their ceiling is made up of squared panelling, which lets you add light to different sections, giving the reception’s atmosphere a lot of character! 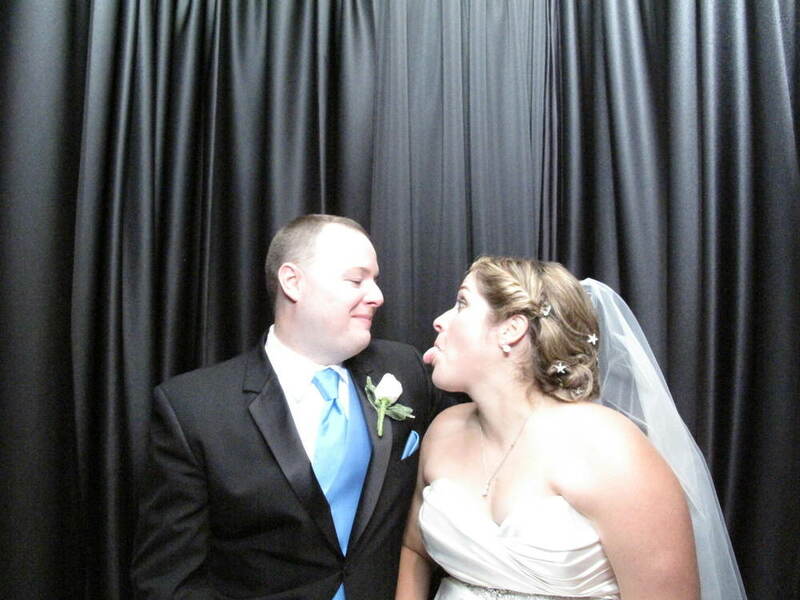 In order to remember the evening, guests’, and also the bride and groom themselves, took pictures in the photo booth to help the attendant fill the scrapbook. Our scrapbook is a great first gift for the bride and groom, because it has space on the cover to attach their wedding picture. We also make sure the bride and groom’s photo booth pictures are on the first page of the book, from there we continue to add photo strips during the evening, letting guests’ sign next to their pictures with our metallic markers. 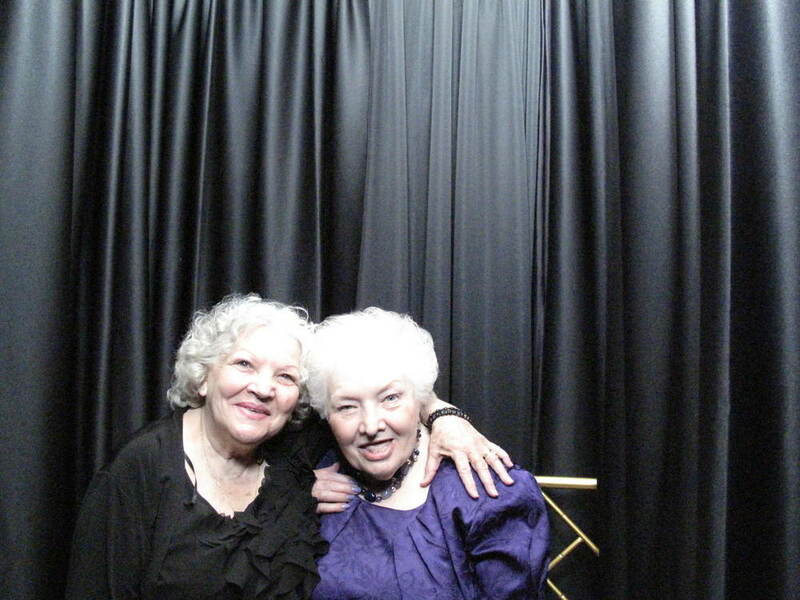 Newer PostSnapshot Photo booths visit their neighbor The Doubletree.